A couple of days ago, Ernest Zacharevic made this new playful yet emotive intervention on the streets of NYC. Titled Human Flow, the piece was directly inspired by Ai Weiwei’s documentary from which the artist borrowed the title, feeling the urge to produce a work that passes along its important message. 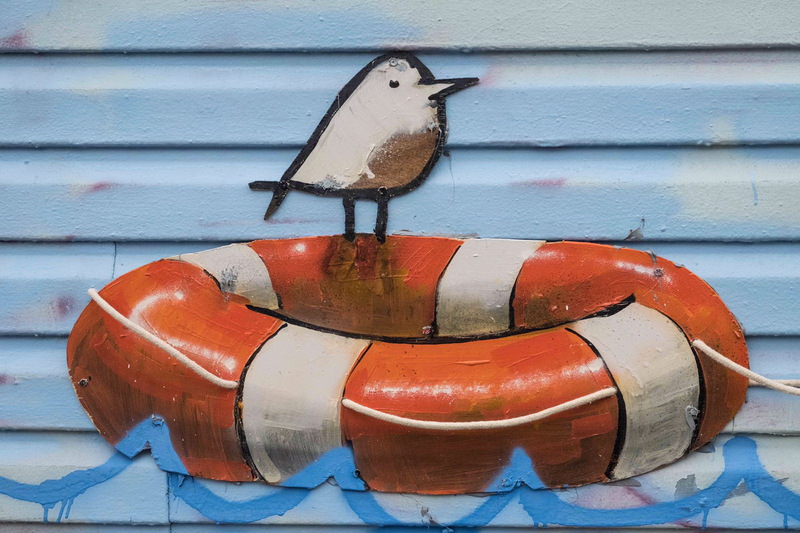 The image features a group of little kids floating on safety rings accompanied by picture-book like birds. 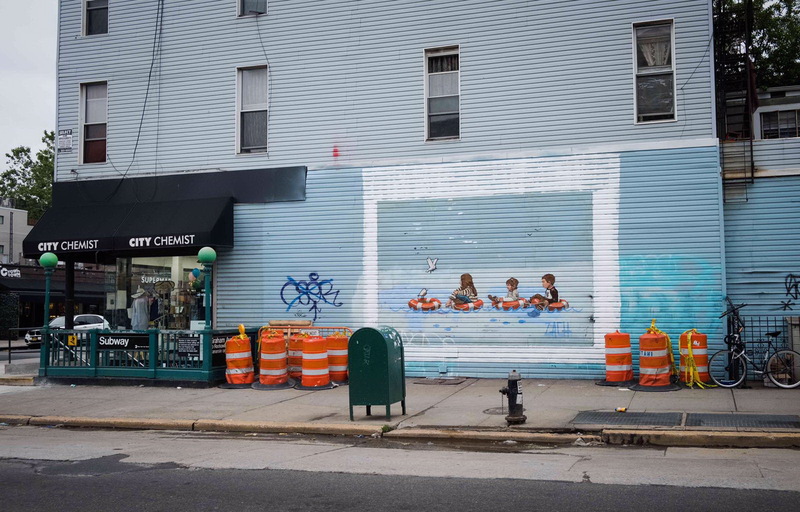 Painted likely on cutout wood panels, the piece was installed on a color matching blue facade on Metropolitan Avenue in Brooklyn, and is further embellished with actual rope and a simple spraypainted drawing of wavy water. 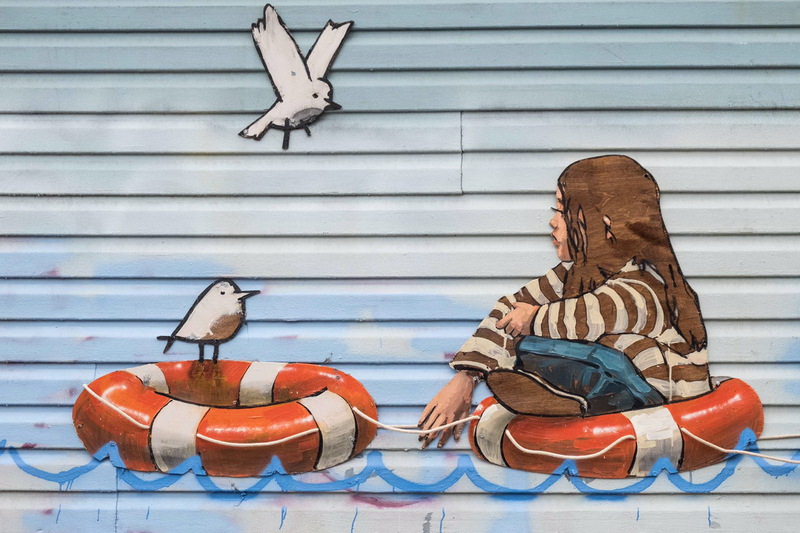 Once again using children as a metaphor for innocence and purity, accented with drawing-like aesthetics, the Lithuanian artist wanted to explicitly show the kind of plight that unfortunate families worldwide are going through. And with the recent family separation incidents stateside, he felt that the message was timely than ever. 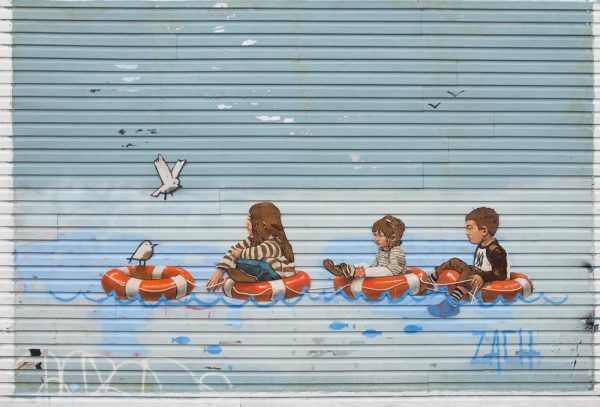 Speaking of Zacharevic, he just announced a release of his latest limited edition print (seen below), fully self-produced at Idem Studio in Paris. 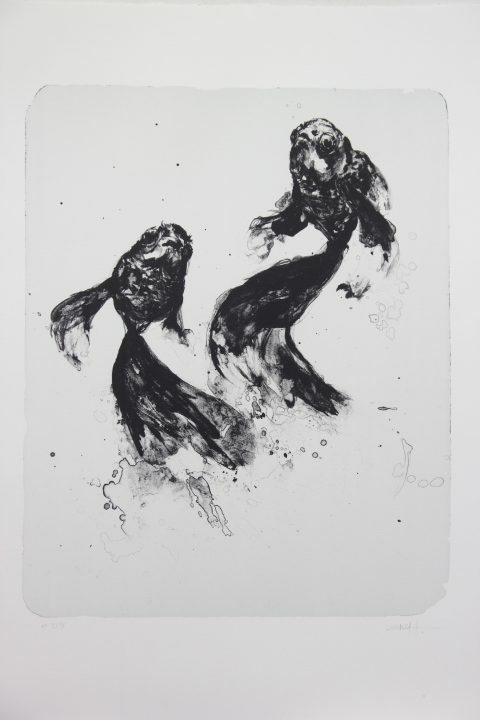 Created using their famed stone lithography techniques, used by the likes of Picasso, Matisse or Chagall in the past, he freehand illustrated this expressive image depicting two elegant fish meandering towards the surface. 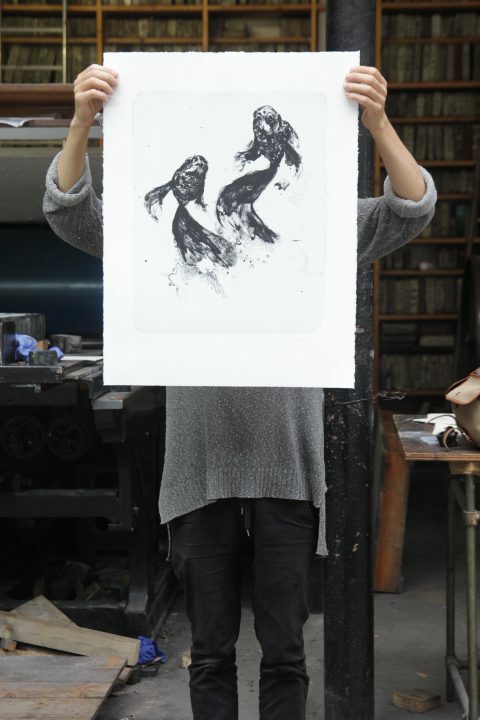 Slightly different from his usual body of work, the image is sort of a tribute to all the big names that worked with this historic Parisian print house, and was an opportunity for the talented painter to push himself out his comfort zone and experiment with this new technique. The print will be released at 2 pm GMT on Thursday 28th June, measures 74cm x 57cm, comes signed and numbered, and will be produced in an edition of 60 (available through Idem Paris). Categories: Features, Releases, Seen on Streets, Street & Urban Art. 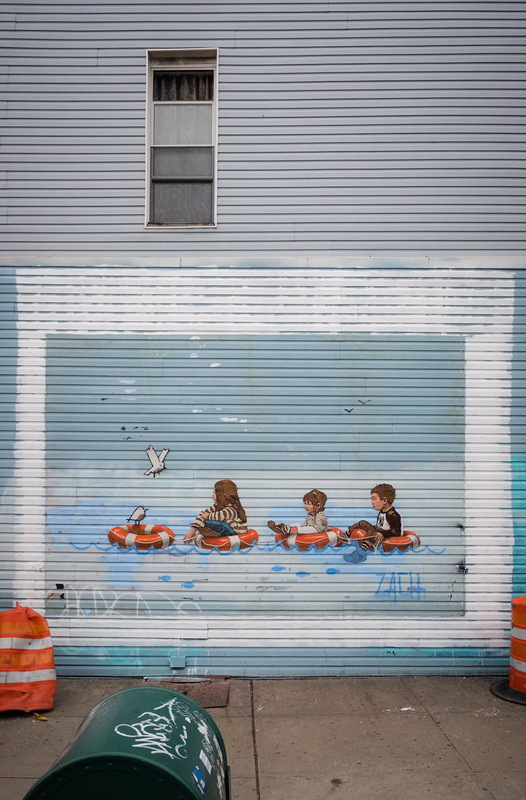 Tags: Ernest Zacharevic, Features, New York, Prints, Seen on Streets, Street & Urban Art.